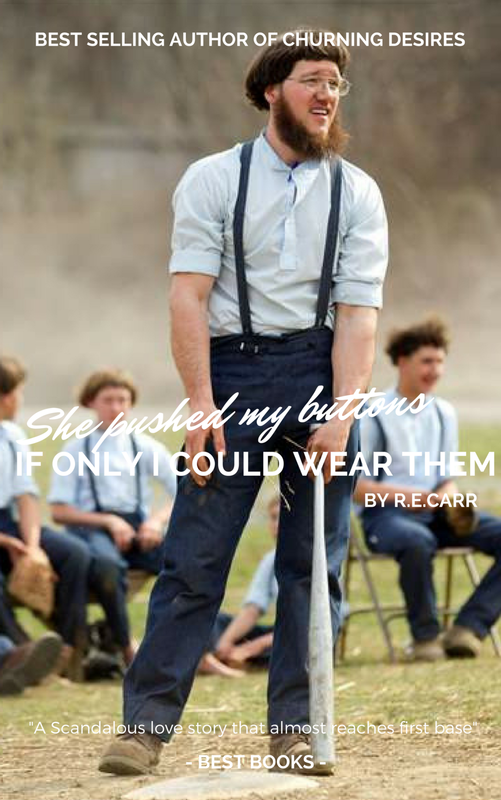 Bold, Exciting, New Efforts from R. E. Carr . . .
Spring is upon us, and I know I’ve been quiet as of late, but that is because the muse has struck me like a thunderbolt from Zeus. I would like to present to you all a special preview of not one but two new masterpieces yanked straight from the most fruitful, creative fields of my mind. We all knew that the saga started in Churning Desires and deepened in Raising the Barn could not end. Thus, I present to you the latest epic staring everyone’s favorite Amish instrument of vengeance – Jedidiah Smuckers . . .
It’s been one year since the aliens hell-bent on destroying Pennsylvania were driven away, but at a terrible price. No one has seen nor heard of Jedidiah Smuckers since he walked into the fire. However, rumors of a man with a singular drive and purpose have surfaced from the Lehigh Valley Iron Pigs training camp. Could this be the living legend and noted switch-hitter, Jedidiah? Destiny Lovegood simply must know! Destiny puts her life as a hairdresser for the elite’s pets on hold, and takes the long journey from the bright lights of swinging Pittsburg to meet . . . her destiny. What she finds in that locker room is a man changed by his in-depth probe of the outsiders who abducted him. She finds the legend, but has that legend been reborn, reborn as a chaste and kind-hearted shortstop? Find out in the action-packed, squeaky-clean romance . . .
She Would Push My Buttons if Only I Could Wear Them! But wait, there is more. Deep in the heart of Pennsylvania farm country, a young girl from a legendary bloodline discovers her greatest passion (that doesn’t involve livestock). Young Myrtle Smuckers, second cousin to the man himself has learned that while life may be slow, her pitching is totally fast. Enter the cutthroat world of women’s softball, and the farm girl ready to take them all on! 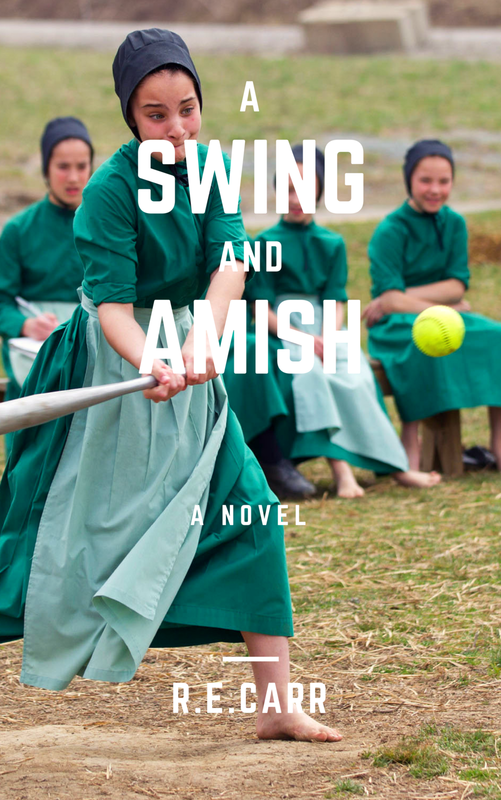 A Swing and Amish, companion to the Churning Desires saga, available June 31st in retailers all across Greenland to reward my most loyal fanbase! I can’t wait to see what you think about these latest entries into my cannon. Please note that while I appreciate the petition to have Gilbert Godfried produce the audio, it simply won’t be possible until I get the incident with Kenny G settled . . .